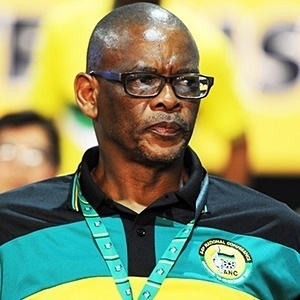 An ally of ANC secretary general Ace Magashule has been discharged from a two-week stay in a Johannesburg hospital after an attempt to poison him, according to The Sunday Times. Chris Ackeer, who has been close to Magashule since he was appointed premier of the Free State and is also the secretary general's strategic manager at Luthuli House, initially thought it was an allergy. "I would not know what and where I ate this, but it was confirmed it was poison," he told the newspaper. City Press reported in January 2017 that Magashule shocked mourners at the funeral of Free State head of the police, roads and transport department Sandile Msibi, when he claimed his close friend had been poisoned. He said that he had taken Msibi along with North West premier Supra Mahumapelo to ask then president Jacob Zuma if he could take Msibi to Russia to get help. Msibi died a few days later. The controversial figure and was being investigated for allegedly channelling millions of rand worth of legal consulting business for the province to his personal attorney. He allegedly ensured that a firm controlled by a close friend bagged a lucrative provincial government contract. Ackeer declined to tell the Sunday Times whether he would open a case with the police or he knew who would try to poison him. He has also denied allegations made in Pieter-Louis Myburgh's Gangster State: Unravelling Ace Magashule's Web of Capture, that Ackeer was Magashule's "fixer of sorts", according to the Sunday Times. News24 reported that Magahule has also denied the allegations contained in the book, describing Myburgh as a "blatant liar".